Whether you are enduring pain from a sports injury, arthritis, or other forms of soft tissue damage, you might feel your options are limited. There are many forms of conservative treatment that can help someone manage pain and even recover from conditions, but maybe you have already tried some that haven’t panned out. Is surgery going to end up as your only option? Perhaps not. Advanced options such as MLS Laser Therapy have shown great results with many of our patients, and may for you as well. Multiwave Locked System (MLS) Laser Therapy is a form of treatment that stimulates the body’s own natural healing capabilities. 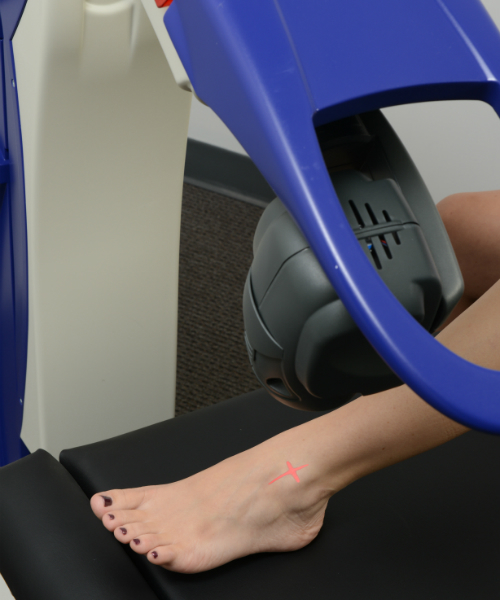 Using specific wavelengths of light energy, the MLS laser penetrates directly to the site of an injury to stimulate the cellular recovery process. Additionally, circulation to the area is increased, providing an increased amount of oxygen and needed nutrients for the cells to perform their jobs. The MLS device is carefully calibrated based on a patient’s condition and individual situation to provide the best effect. A standard treatment takes about 10 minutes, and a series of successive treatments will be scheduled. Increased cell repair and growth. Cells stimulated by the laser’s light energy react in a positive manner. Improved circulation. Not only is blood flow increased, but new capillaries can also be formed to provide additional resources to the injured area. This further accelerates healing and wound closure. Enhanced metabolic activity. Receiving a boosted supply of oxygen and nutrients is great, but cells will also be able to process these resources more effectively. 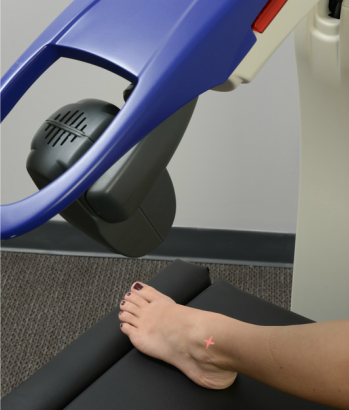 What Can MLS Laser Therapy Treat? MLS Laser Therapy is most effective on soft tissue injuries and conditions. When it comes to the feet and ankles, many problems focus on muscles, ligaments, and tendons that can respond to MLS. Problems that have been a source of chronic pain or have not healed as quickly as expected may be a good candidate for this procedure. It also has potential for conditions where surgery is wished to be avoided (and if there is an effective alternative to surgery, it is always worth consideration). MLS Laser Therapy may not be for every patient. We make sure to discuss all treatment options with our patients to ensure they have full confidence in the ultimate plan moving forward. We would be happy to answer any questions you might have on MLS or other possible treatments. Our Medford office can be reached by calling (541) 776-3338 or filling out our online contact form.